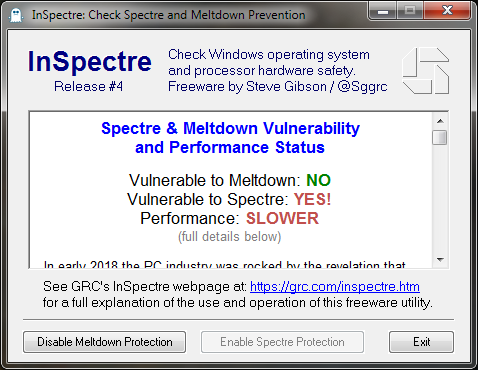 Nifty little tool that checks if appropriate patches and/or BIOS microcode updates have been applied to yer system to protect against Meltdown/Spectre. Also gives the option to toggle mitigations on or off to get more system performance (like toggle off when gaming, toggle on before opening any sensitive files or doing online banking). 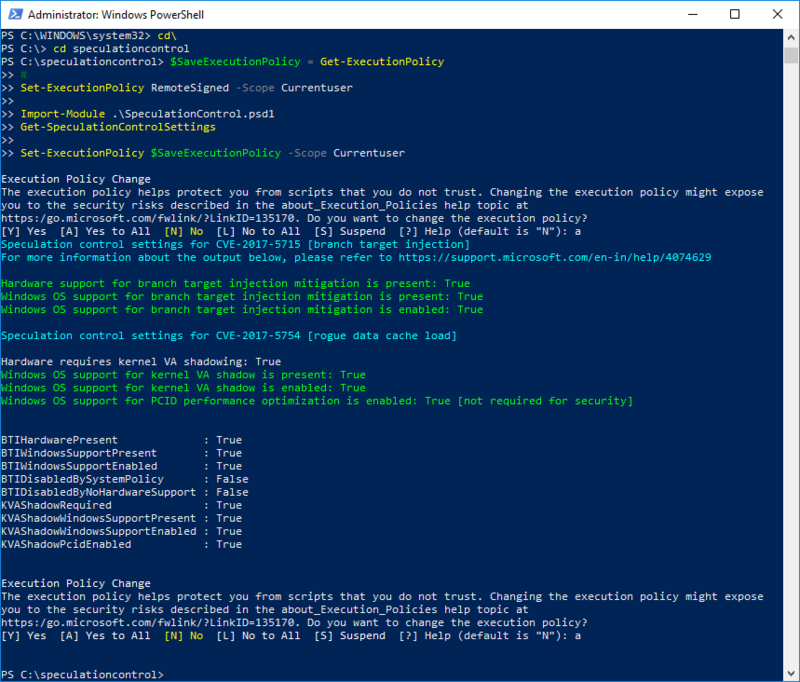 Microsoft has also released a PowerShell validation script to check if your computer is protected from speculation side channel vulnerabilities. ^ The problem with the script is that it's only immediately available if you're on W10 or Server 2016. Earlier versions require some fiddling with (installing WMF 5.1). If you have to do that, InSpectre is much smaller and easier to run. If you're a sysadmin for a network though, SpeculationControl is probably better because you can make scripts to execute it remotely on a bunch of computers and pipe the output to a logfile. Thanks for this info @splerdu. I'm about to update my BIOS. There's a new Spectre variant in town. 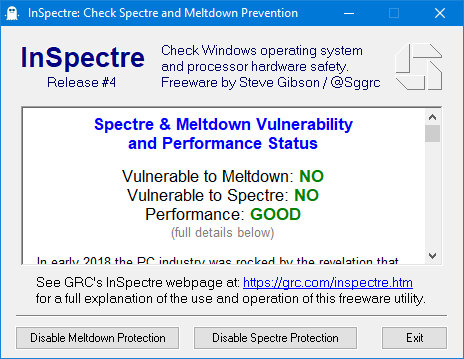 Fixes are on the way but will be disabled by default because Intel and MS believe that it has not been exploited in the wild yet and it carries a 2-8% performance penalty.